He lost his job. Lost his girl. Now it’s all he can do not to lose his life. 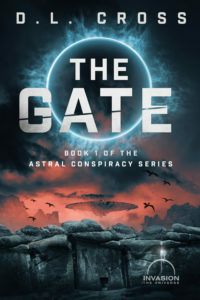 The Gate is the first of five novels in the Astral Conspiracy Series, part of Sterling and Stone’s Invasion Universe.